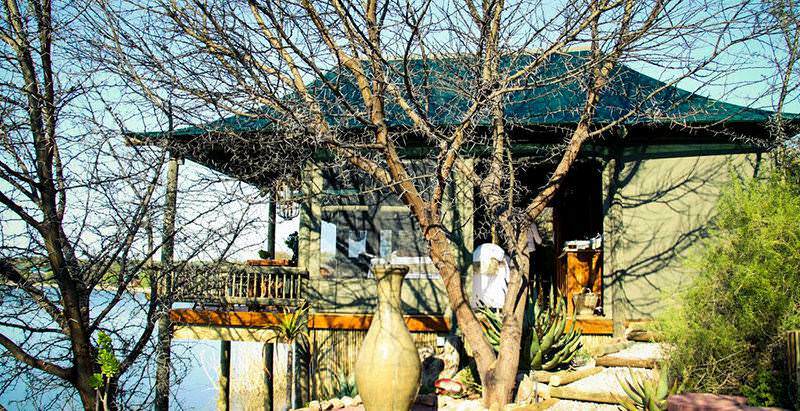 Buffelsdrift is located in the unique wilderness of the Western Cape's Little Karoo. In the heart of the Little Karoo lies a remarkable stretch of wilderness that has become a magnificent destination for a safari in South Africa. 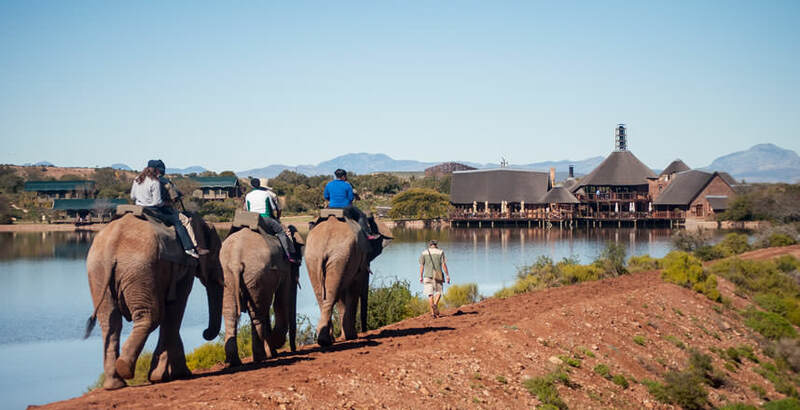 Buffelsdrift, outside the town of Oudtshoorn, offers an exciting safari getaway where guests may encounter elephant, rhino, buffalo, giraffe, hippo and over 200 bird species. The imposing Swartberg ('black mountains' in Afrikaans) forms a beautiful backdrop, sometimes covered with snow in winter time. 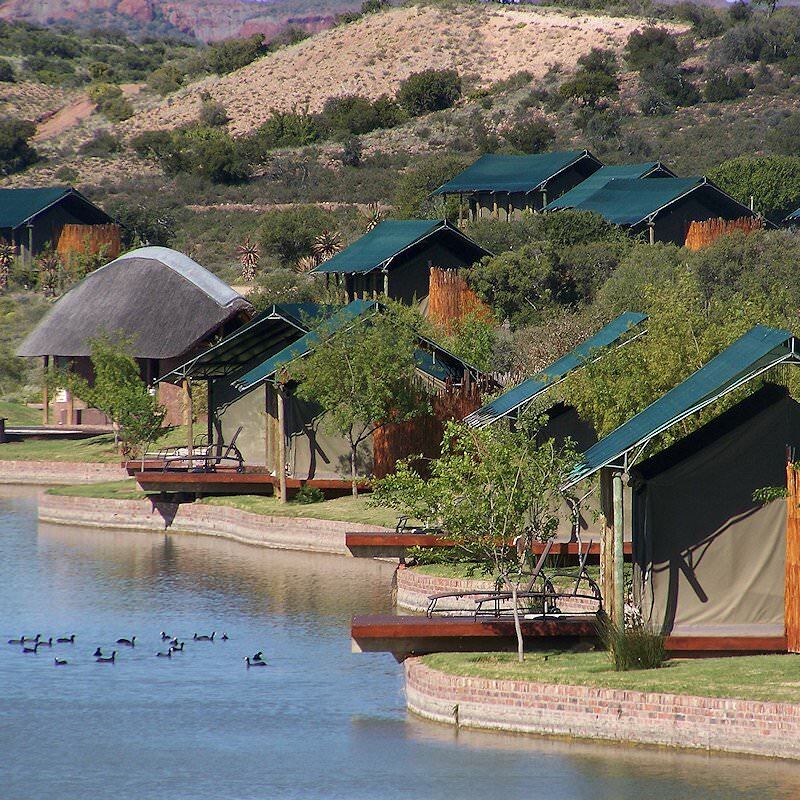 Buffelsdrift hosts 25 luxury tents with en suite bathrooms, outdoor showers and air-conditioning. 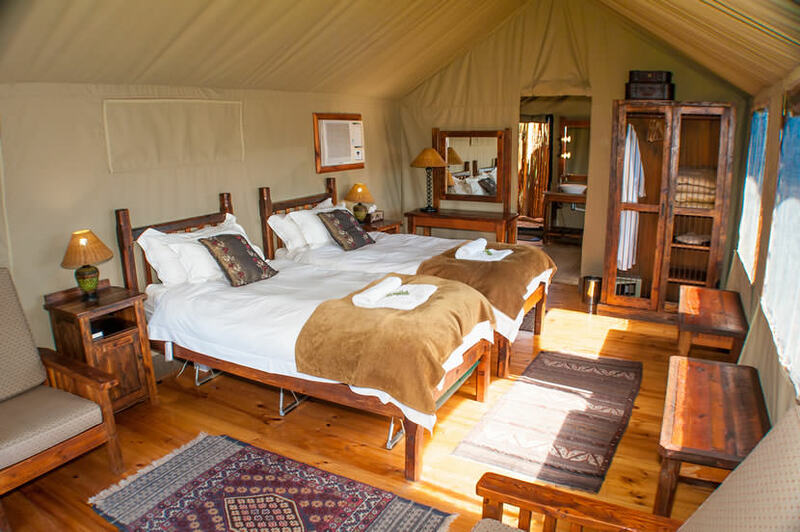 The tents range from luxury tents and luxury family tents to luxury waterfront tents that enjoy a view of the large waterhole in front of the lodge. The Buffelsdrift restaurant offers an a la carte menu consisting of local dishes and fresh produce and a good selection of local wines from the region. 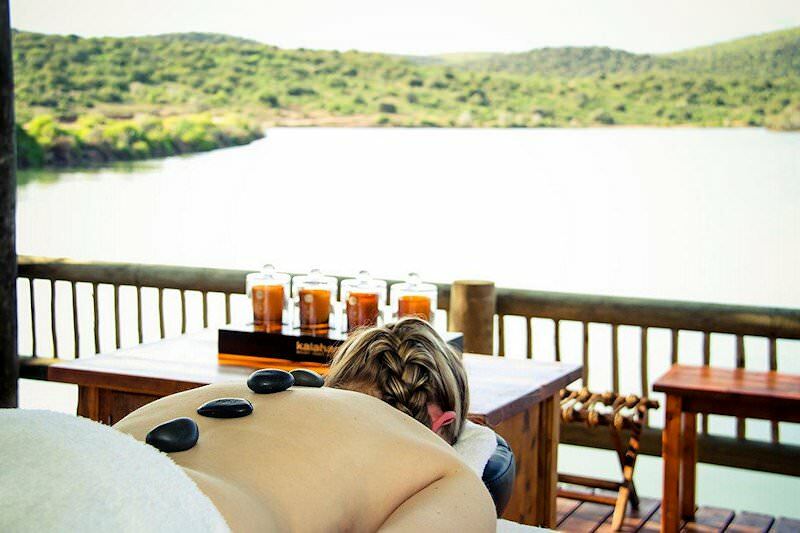 Activities at Buffelsdrift that will enrich your safari include games drives twice daily in the company of professional and knowledgeable guides. 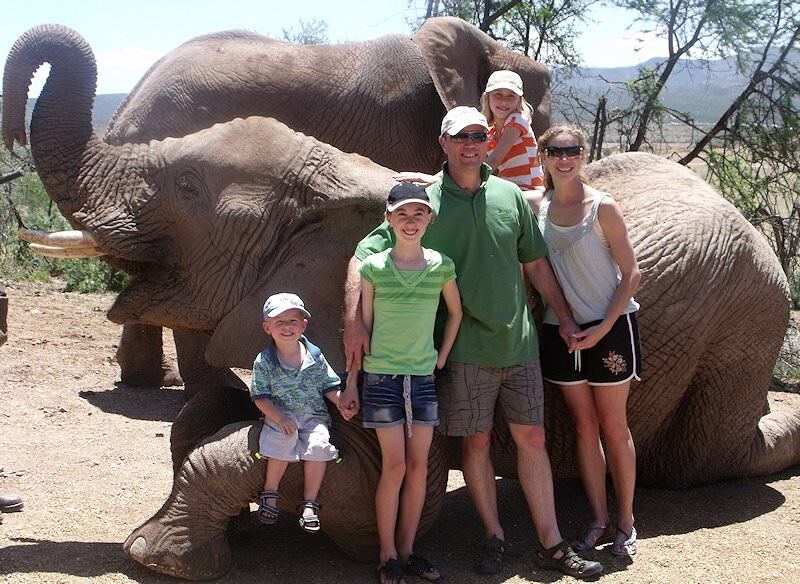 A highlight at Buffelsdrift are the elephant encounters, which include feeding, walking and riding the resident elephants. 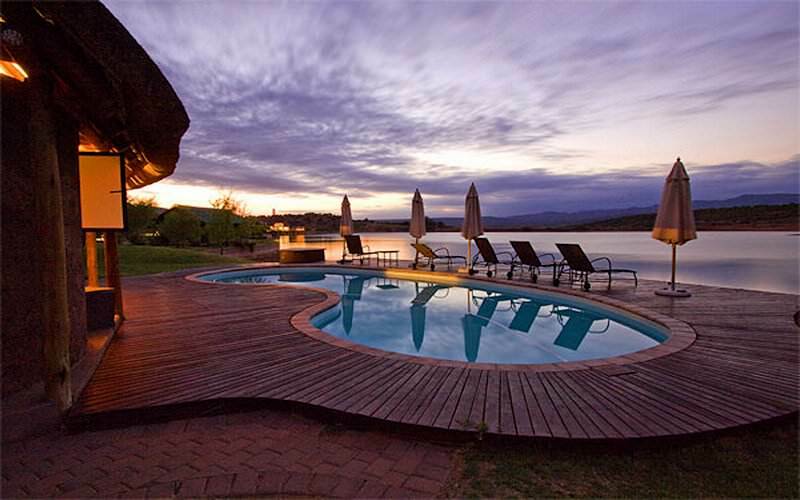 From O R Tambo International Airport, guests are flown to George in the southern Cape and transferred to Buffelsdrift Game Lodge near the Little Karoo town of Oudtshoorn. 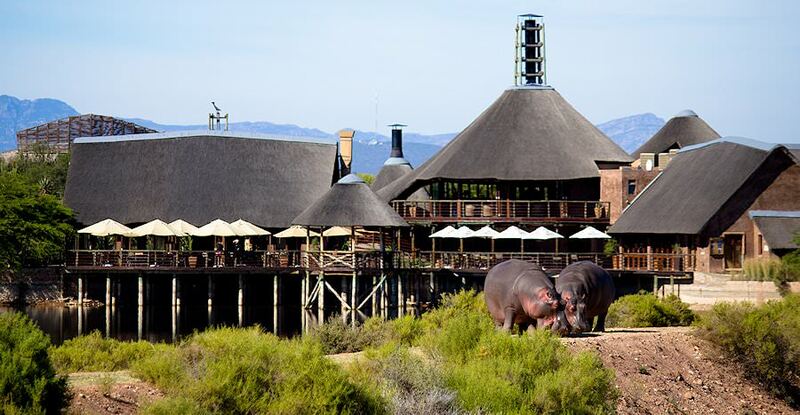 Tucked beneath the oft snow-capped Swartberg Mountains, the lodge and its luxury tents overlook a sparkling 5ha waterhole that teems with hippos and turtles. 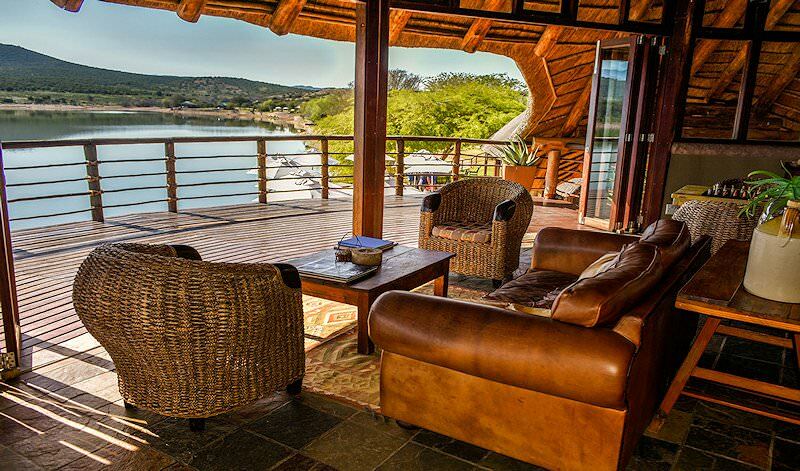 Authentic African cuisine is served on the wooden deck overlooking the waterhole. Dinnertime is typically starlit, as the Karoo’s lustrous night sky is unencumbered by city lights. 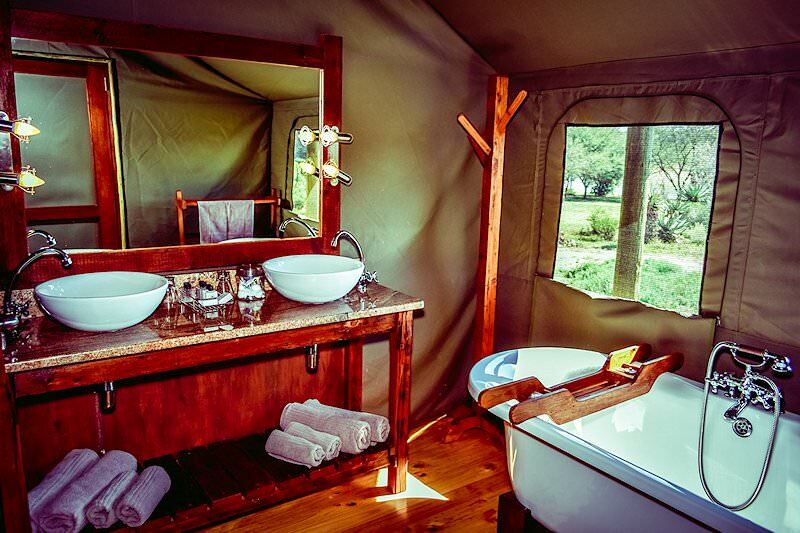 The lodge offers a wide range of activities for nature lovers. Traditional bush safaris are conducted in open 4x4 vehicles. The area is a haven for large herbivores, from elephant, buffalo and rhino to zebra, giraffe and eland. 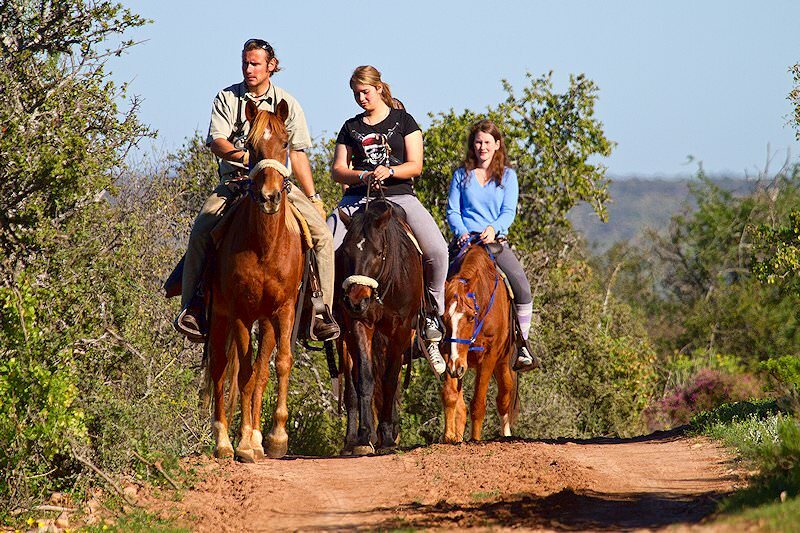 For a truly unique experience, guests may opt to explore the bush on horse- or elephant-back. Get even closer with an elephant encounter - feed, walk and interact with Jabari, Malaika and Bulelo, the reserve's resident gentle giants. 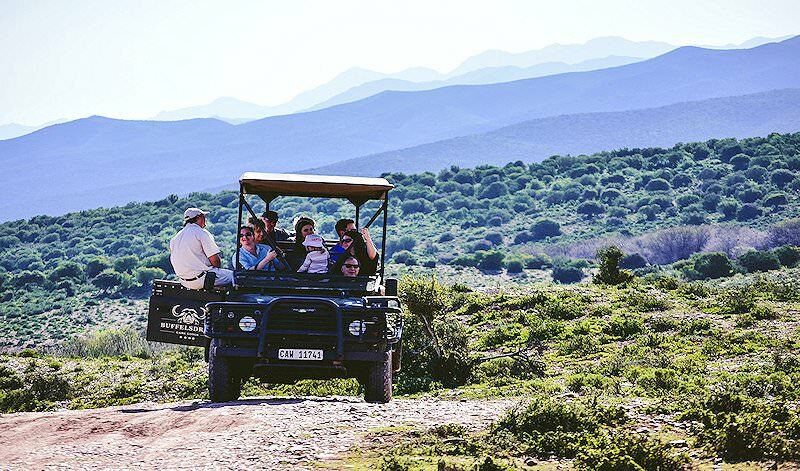 Oudtshoorn offers surplus magic with the wonderfully arcane Cango Caves and a prolific population of ostrich farms - the perfect occasion to enhance your safari. 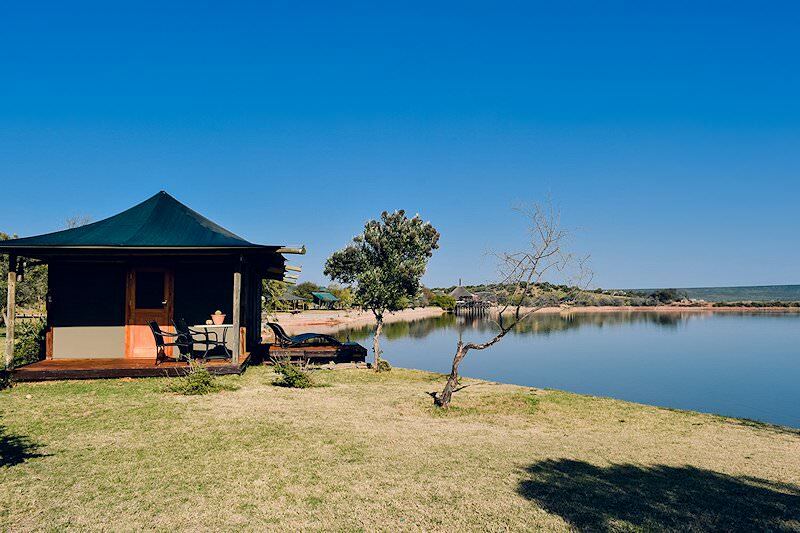 Though not located in one of South Africa&apos;s primary safari areas, Buffelsdrift does offer the finest safari experience available in South Africa&apos;s Garden Route region. The accommodations are stylish and the entire experience is definitely worth a stay of two nights. Botswana is known for safari areas like Chobe and the Okavango Delta. Zambia is sought-after for its pristine safari areas, like South Luangwa and Kafue. Mozambique boasts an extraordinary 1000km coastline along the Indian Ocean. The Kruger National Park is Southern Africa's top safari destination, flush with wildlife and striking natural scenery. Our luxury safaris will appeal to travelers with discerning tastes, including plush accommodations and fine gourmet meals. The Big Five are the continent's most impressive mammals and provide some of the most memorable safari encounters. The African lodges we use in our itineraries have been carefully selected for their high service levels and quality of game viewing.